Unable to install Remote Application Server. Please install the RAS Portal using Elevated Privileges. Unable to install Remote Application Server. 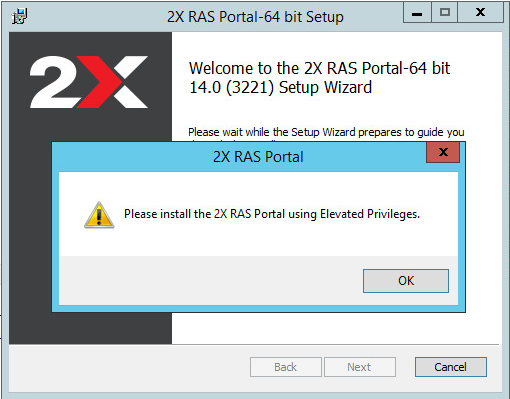 Please install the RAS Portal using Elevated Privileges. Current user do not has enough rights. Run Command Prompt as an Administrator. Head to the Web Portal installer and launch it.